Give 2.0 is coming as early as this fall and it has a lot of great improvements under the hood. 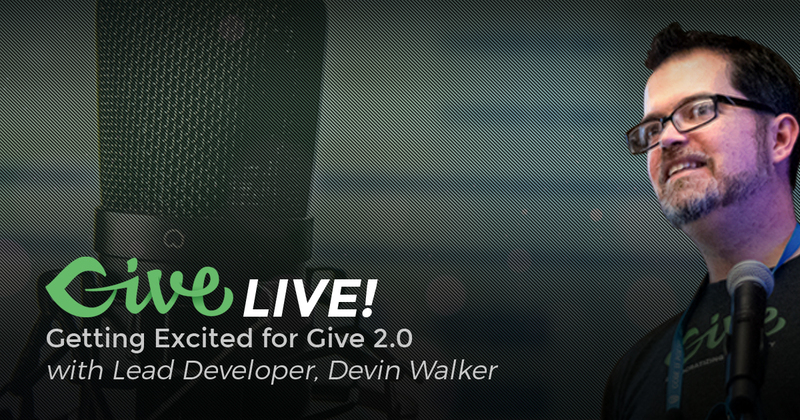 Our Founder and Lead Developer Devin Walker will join us to discuss all things Give 2.0. Our next event is Wednesday, September 13, 2017 at 5:00 p.m. PST. We’ll discuss how you can ask users to register for your website with Give and restrict or grant access to content based on their user role. We’ll also discuss all things related to users and roles in WordPress.